Are you looking to organise a beachfront wedding in the Lake Macquarie area? You may want to consider the fabulous deco-style Awaba House. Holding your wedding at Awaba House offers you a number of options for creating a highly distinctive event that you and your guests will enjoy and remember for years to come. Charming, comfortable and sophisticated, Awaba House nestles amid 15 acres of landscaped parkland on the waterfront by Lake Macquarie. It is an authentic 1920s art deco building, complemented by an intriguing roof, stylish portico and leadlight style windows. In other words, if you hold your wedding here you can look forward to some stunning wedding photographs. This exclusive waterfront location includes a deep-water jetty, if guests want to access the venue by boat. Or why not consider arriving for your wedding by boat instead of a limousine? That’s sure to start your wedding off in style! With acres of manicured parkland, including some awesome Port Jackson fig trees surrounding the house, you can choose to hold an outdoor wedding and indoor reception, or any combination of the two. The grounds also contain an art gallery and a sculpture garden, offering plenty of opportunities for innovative photography and for guests to amuse themselves while you are having your photographs taken. The indoor function room is an elegant glass conservatory with the unique touch of a silk-lined ceiling, for a truly luxurious feel. It also offers unobscured views of the lake and gardens. Awaba House can accommodate wedding parties of up to 80 for a sit down meal, and provides a varied cocktail-style menu for larger weddings. 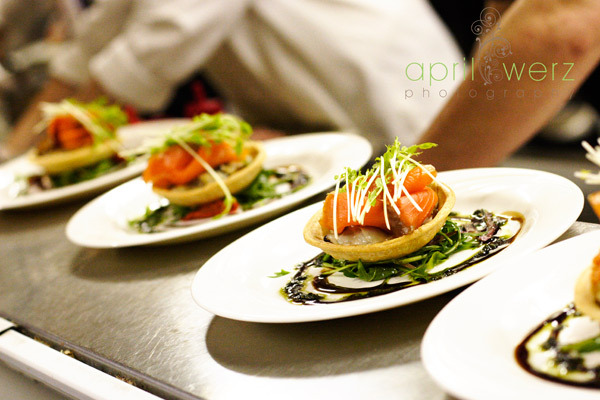 Awaba House is known for superb food and exceptional service, delivered with faultless professionalism by staff members who work hard to create the perfect atmosphere of celebration for every event. Recognised as one of the original estates that were established around Lake Macquarie’s prime acres, Awaba House has been owned by several families over its history, and its fortunes have waxed and waned through the years. The name ‘Awaba’ means ‘flat or plain surface’. It is the name given to Lake Macquarie by the indigenous people of the area. Europeans settled the land from Teralba to Bolton Point between 1822 and 1842, as recorded by a land grant of 500 acres to James Mitchell. On his death, the property passed to his daughter and son-in-law, Margaret and William Quigley, who built the original Awaba House in 1878. This was located close to the present house, but the Quigleys did not enjoy it for long, as William died in a horse accident and his wife lost her life after fire gutted the house in 1886. However the very next year William’s brother Daniel Quigley rebuilt, and his family occupied the property until 1913. Records show that one Thomas Braye of Newcastle took over the property and 15 acres immediately around it, forming the estate as it is today. The Braye family owned the property until 1958, during which time they tore down the second Awaba House, building the third and current building in 1927. While the previous buildings may have been rather rough and ready, this third building was elegantly designed by a local architect to reflect the art deco style and tastes of the 1920s, resulting in a charming building full of history and style. In 1958, the property was taken over by the Hospitals Commission and was occupied by a succession of tenants. Awaba House eventually became in danger of neglect before being rescued by Lake Macquarie City Council, which bought the property outright in 1993, operating it as the city’s art gallery. Now, Awaba House has been reincarnated as the restaurant and venue space that we see today. If you’re ready to take the next step and organise your wedding at Awaba House, all you need to do is click on our listings for wedding venues. We’re confident you won’t be disappointed in the beautiful setting and the service. Awaba House is the ideal wedding venue, full of romance, and a rich history that will be sure to intrigue your guests on the day. One trick to waking up calm and collected on the morning of your wedding day is to start planning and organising the moment the fabulous engagement ring is on your finger! However, unless you are a professional event planner, organising a wedding can seem like a daunting prospect. If you’re planning on taking advantage of some gorgeous scenery, and getting married at Lake Macquarie, you can relax, because we’ve already done a lot of the work for you. At Hunter Bride, we’ve gathered the cream of the wedding supplier crop into one place in our directory listings for Lake Macquarie weddings, so you can easily browse for suppliers of everything from flowers to wedding cars. And because it can be tricky to know what to organise when in the lead up to your big day, we’ve put together this easy outline for Lake Macquarie weddings, to help you get started. You can use this framework to organise a simple celebration, or as a foundation for a full-scale production. The first decision to make is how much you are willing to spend on your wedding. Setting a budget may not be romantic, but you’ll find it incredibly helpful later on, and there are a number of free planners that can give you a starting point. At this stage, you don’t need to fix what you’ll spend on individual items, just agree an overall figure. That gives you something to work with when you look at big-ticket items, such as the venue. Typically, the next decision is about the style and size of your wedding. Are you up for a big party, or would you prefer a smaller, more intimate occasion? Should it be indoors, outdoors, or a combination of both to take advantage of the beautiful Lake Macquarie scenery? It’s your day, so choose a setting you’ll be comfortable in. Keep your ideas fluid until you’ve had a chance to look at a few venues, because you may find your wishes change once you see what’s available. Venue availability may also dictate the actual date of your wedding. When the venue and date are settled, it’s time to choose your bridesmaids/best man and start the guest list. You’ll also need to identify a celebrant, and you can start looking at the portfolios of photographers, caterers and florists. Around now is a good time to confirm and book your photographer and caterer (unless your venue is taking care of catering), as these specialists often get booked up well in advance. How will you entertain guests on the day? Music is typically part of a wedding celebration. You may also like to consider doing something unusual, such as hiring a magician to surprise your guests. Popular artists get booked up early, so now is a good time to get this organised. Now you’re nearly on the final stretch. Typically, you’ll be clear about the wedding colour scheme by this stage, so it’s time to make a final choice of florist, and order invitations. Most importantly, it’s time to find that special dress, shoes and headwear for yourself, and for your bridesmaids. Trying to get bridesmaids to agree on what they are going to wear is sometimes easier said than done, which is why it’s a good idea to start early! This is a good time to order your cake, if a specialist is providing it. This is also the ideal period to choose and order your rings, allowing time for any alterations and engraving. Organise transport for yourself and the bridal party, and don’t forget to make sure key people have the means of getting from the ceremony to the reception if they are not being held in the same venue. About two months before your wedding day, touch base with suppliers to check everything is in hand, and send out your invitations. Time to have a fabulous day after all the planning and effort! While there’s really no such thing as a typical wedding, we hope this outline helps you decide where to start, and gives you an idea of the timeline and the preparation that is needed for a wedding day to go off without a hitch. North of Sydney, New South Wales has some amazing places for brides and grooms looking for a special waterfront wedding. Newcastle and Lake Macquarie are among those places and both offer some breath-taking areas that will help make your wedding day even more perfect than you imagined. Newcastle is the second largest city in New South Wales so it’s no surprise that there are so many gorgeous places for you to choose from when searching for that right wedding venue. Once known as primarily an industrial area, Newcastle has grown into a city of art and culture. The local artists, and there are many, have plenty of places to draw inspiration from. Surrounded by eye-catching surf beaches and dense bushwalking tracks, Newcastle can be a visual delight. A wedding on one of these beaches is very romantic and always impresses bridal parties and guests on the day. Lake Macquarie offers a different type of waterfront. As the lake spans over 170kms, there is plenty of space along the foreshore to find the perfect location for your day. If you don’t want to hold your ceremony at the same place as your reception, you can find ample amounts of parkland and scenic areas along the waters edge to have a wedding with unparalleled views of the water. The photo opportunities are endless. 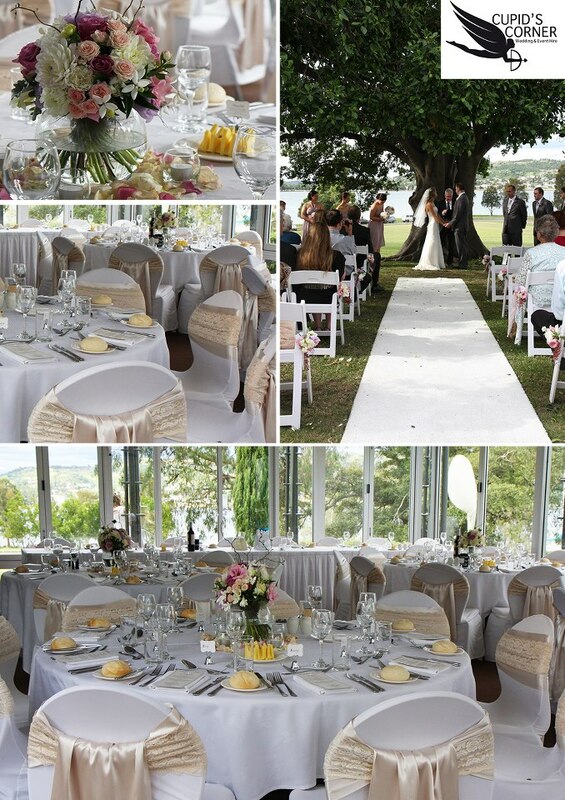 As they are both by the water, Newcastle and Lake Macquarie are perfect locations for a wedding with sparkling views. So if it is waterfront you desire for your wedding, then you should check out Waterfront Venues Newcastle. Waterfront Venues Newcastle is a collection of some of the best wedding venues Newcastle has to offer. All of the venues can host not only the reception but the ceremony too. As they have more than 30-years experience in the restaurant, banquet and catering business, you can relax knowing your wedding is in good hands. No matter which place you choose, you will have a coordinator dedicated to that venue that will help you. With assistance on the food and wine selection, as well as flowers, lighting and music, you will be able to just relax and enjoy the moment! Dixon Park Beach is the perfect place for a beachfront ceremony, followed shortly after by a reception that is just a stone’s throw away. Dixon Park Surf Lifesaving Club is the ultimate waterfront destination in Newcastle with its uninterrupted views of the sand and the surf. Treat your guests to a spectacular view up the coastline to Port Stephens and down south to Redhead Beach on the large verandah. Inside, there is room for dinner and drinks and of course space to dance the night away. If you are looking for a wedding venue that is nothing but pure class and elegance, then look no further than Awaba House. This amazing venue is set amongst 15 acres of parkland that is right on the waterfront of Lake Macquarie. No two weddings at Awaba House are the same as you get to choose where to hold the ceremony from several locations on the grounds. 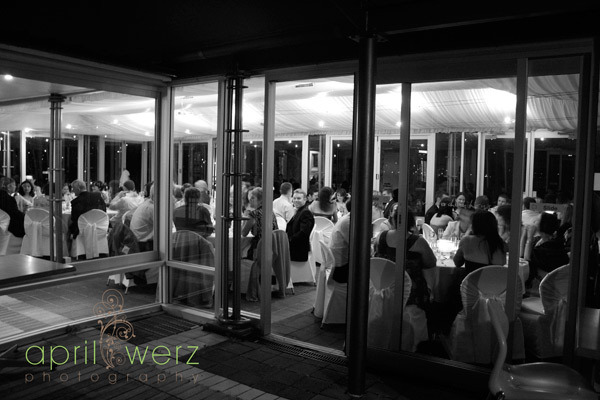 The reception will be held in the Awaba House function room where there is a glass conservatory with a silk lined ceiling, giving it a stunning and romantic marquee feel. Even your arrival will be impressive if you choose to make use of the deep-water jetty and arrive by boat. Just 30 minutes south of Newcastle, the new Caves Beachside Resort is positioned to look over the unspoiled shoreline of Caves Beach in Lake Macquarie. With three function areas within the resort, Caves Beachside can accommodate large weddings, or more intimate ones. Wedding guests can stay in the same location as the wedding meaning you will get an entire weekend of quality time with your guests instead of trying to see them all just on the wedding night. With the amazing view and the new facilities, your wedding will be the talk of the town for months after the event. One of the many fabulous things about the Hunter region is not only the beautiful natural scenery that abounds, but the variety of settings. From sweeping valleys to sparkling lakes and stunning beaches, the area is blessed with sights to take your breath away. So if you are looking to marry in the region, you’ll be spoiled for choice for the perfect backdrop for your wedding day photos. With sweeping panoramas of valleys and vines, the Hunter Valley is a gorgeous spot that will always provide a stunning backdrop for your perfect day. It’s packed with character accommodation, wonderful wineries and lush rolling hills. Many reception venues here have beautiful gardens and wonderful views, so you may not need to travel far at all for your photos – and that can be a good idea on a day when there’s so much going on. In Newcastle, the options are extensive. You might choose the iconic landmark, Nobbies as a backdrop, the harbour foreshore, any of a variety of beautiful parks (King Edward and Civic Park have been wedding party favourites for many years) or the historic East End of town with its character terraces. Or you might decide on a spot overlooking any of the beautiful beaches for which the town is known. For a beautiful bush setting or gorgeous lakeside photo opportunity, nothing quite beats the sparkling and tranquil Lake Macquarie – and there are numerous potential locations around the Lake. It’s your day, and your day to shine. So whether you choose lake or beach, valley or hill, wild bush or English cottage garden, there are natural photographic backdrops to suit any wedding in the beautiful Newcastle, Lake Macquarie and Hunter Valley region. A lakeside wedding is a romantic setting for a marriage celebration. The ambiance is perfect – cool, laid-back, and refreshing. There are a number of ways to plan for a lakeside wedding. Here are some tips on decorations, wedding bomboniere, and other wedding ideas for a lake side celebration. 1. Use a nature inspired theme or go with tropical colours. Having the outdoors as your backdrop, you want a wedding theme that blends with nature. Most brides go with the “rustic-vintage-chic” route in planning an outdoor wedding. However, tropical, bright coloured decors and details may also be a great alternative. 2. Pick a ceremony time right at sunset. Then adorn the lake side venue with warm lights for the evening. The lake will surely make a grand canvass for that golden sunset. Its waters will reflect all the bright colours, leaving you and your guests breathless! A ceremony in the mid afternoon is just perfect for this. Match this with some warm lights placed on the lake docks, chairs, or the path where the bride will walk on. 3. Give water or nature-inspired tokens as wedding bomboniere. How about some DIY wedding favours? Cute little boats in your chosen colour is one idea to match your lakeside wedding. Search wedding favour suppliers and see what they have to offer you. 4. Have fireworks at the end of the wedding reception or right after the ceremony. Why not spruce the skies above the body of lake water with majestic fireworks? Everyone will be delighted to see lights do their magic on your most special day. This can be the highlight of the wedding executed at the end of the celebration. Real romantic, I must say! 5. Create a light, less formal mood for the guests. In order for everyone to enjoy your lake side wedding, you can tell your guests in advance that they can expect a less formal and a more relaxed kind of celebration. Let them enjoy the view of the lake. You can even help them plan for an extended holiday at your chosen lake side wedding destination. Last Tip: Offer activity options to your guests in Lake Macquarie. 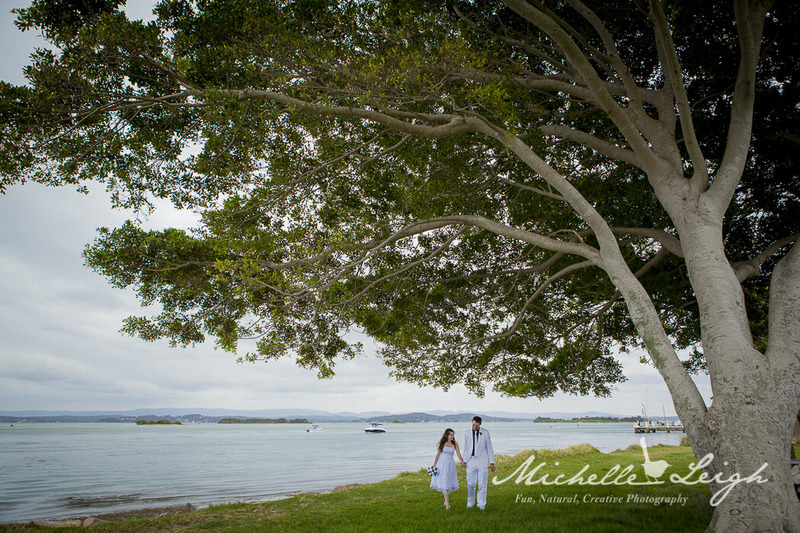 Lake Macquarie is a top choice when it comes to lake side destination weddings. Blame it on its long stretch of shoreline – the biggest saltwater lake in Australia, and its variety of natural sceneries. Lake Macquarie is also known for its long sandy beaches plus a treat of beautiful mountains in its western portion. Guests and honeymooners can spend their time swimming, snorkeling, hiking, horseback riding, and even wine-tasting! Truly, it’s a place for memorable, romantic lakeside weddings. 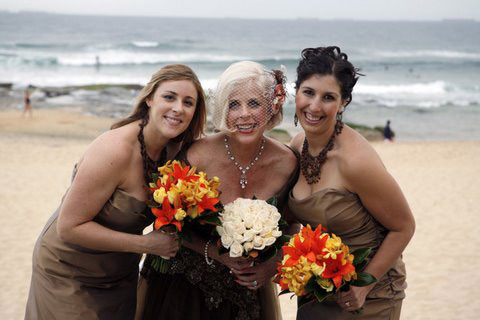 Hunter Bride features a complete directory of wedding suppliers and services in Lake Macquarie. See them here.